Gov. Ben Ayade of Cross River has inaugurated the 2018 Calabar Carnival dry run to signify the commencement of the annual festival. 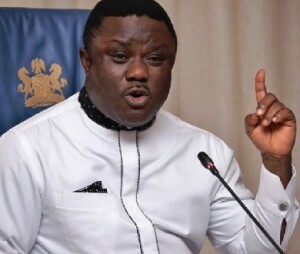 Speaking after the ceremony in Calabar on Sunday, Ayade who was represented by his Deputy, Prof. Ivara Esu, said that the celebration marked the 14th anniversary of the carnival. He said that the carnival had promoted talent and creativity, adding that it also united the people of Cross River and Nigeria in general. “Today, we are flagging off the 14th annual Calabar carnival, the largest street party ever; the greatest show in Africa. “If Africans can get themselves together and shun fraud, drug peddling and other forms of heinous crime, we will win back our position and compete favourably with other colours in the world. He said his administration has done a lot in bringing understanding to the carnival through the interpretation of the Carnival themes. “It tracks the system on the 12 kilometres routes and engage the community positively,’’ he said. Five carnival bands: Seagull, Master Blaster, Passion 4, Freedom and Bayside are expected to participate in this year’s carnival. The participants were beautifully dressed in different attires, while security was mounted in all the carnival routes.